The ASB Community Service Program is a mandatory program for students in grades 9 – 12. This program came about as a result of a growing need for assistance in the surrounding community, our ESLR - Global Citizen, and the personal satisfaction and learning that such experiences will provide to the student body. Involved students are required to complete certain hours of community service each year. 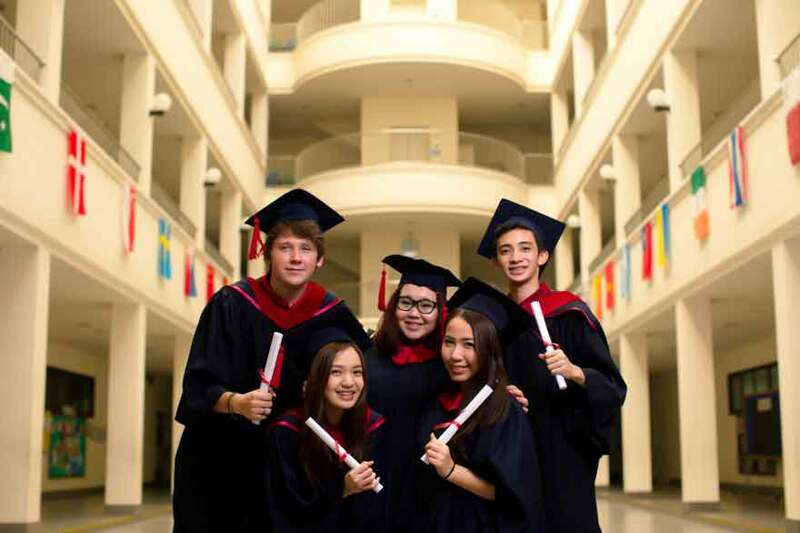 By the time they graduate, not only have they completed the community service expectation and met the Global Citizen ESLR, but they will also have gained a useful and positive experience for their portfolios. Homeroom teachers and counselors assist students in appropriate placements in the community throughout year. Students may also propose their own ideas for their individual community service project or work with the ASB Student Council for a particular charitable cause. ASB community members also actively participate in the school’s annual charitable events – the Sukhumvit Fair or the Bangna Family Fair – to raise funds for local or international charities. The Community Service Program at ASB has really flourished. From its inception until now, the school has raised a substantial amount of money, and spent thousands of hours working to help underprivileged children, animals and the environment. This is a real testament to the amazing and generous efforts of our student body and teachers who worked with many charitable organizations.